visit with local agricultural businesses. Click here to view class descriptions! For last minute registration, please print form (see link below), complete at home, and bring to registration at the Expo at 8am. Trade Show is open ALL Day! All registrations include lunch and breakfast items at no extra cost. Online registrants can pay with a card via PayPal (no account is necessary; you’ll be redirected to the payment site) or with a check. Registrants can pay with cash at the WSU Skagit County Extension office. Day of Registration is STILL AVAILABLE. Over 120 classes are still available! Register the day of the event starting 8:00am at Stanwood High School. Go to the registration booth to see the list of classes still available. Attendees can transfer their registration payment to another person at any time before the Expo or on the day of the Expo. That person can take the same classes, or register for any classes still available. Otherwise, attendees may, upon request, receive a refund equal to half their purchase price before January 1. After January 1, no refunds are available. Our keynote speaker is an international lecturer on autism, a professor of animal science at Colorado State University, an author, an autistic activist, a consultant to the livestock industry on animal behavior, and an engineer. She will be speaking at the Expo during Sessions #1 and #5. She will also be speaking Friday, January 25 at 7:00 PM at Everett Civic Auditorium. Tickets are sold separately and are available here until sold out: https://www.brownpapertickets.com/event/3820710. Special Events at the Expo! 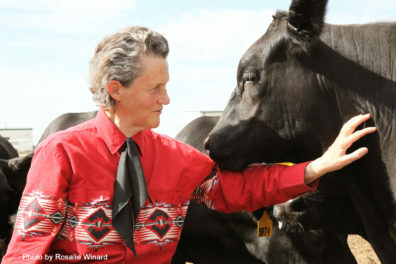 Temple Grandin will be a keynote speaker at the 2019 Expo! Entries are open to everyone. The egg can come from your own flock, purchased eggs, borrowed eggs, anywhere you can come up with a larger than expected chicken or duck egg. Prizes – you bet! The owner of the largest chicken AND duck egg will win 100#s of CONWAY FEED ALL NATURAL LAYER PELLETS. There will also be drawings for free feed for everyone who enters an egg in the weigh off! Going strong for third year – Prizes are awarded in all fiber categories – so gather some fiber from your favorite sheep, alpaca, llama, rabbit or goat to enter into our show. From I-5 take Exit 212 and head west on WA-532 (towards Stanwood/Camano Island). Turn right onto 72nd Ave. NW and left onto 272nd St. NW. High school will be on your immediate left. Contact the WSU Skagit County Extension Office at 360-428-4270, ext 0.